Fax Confirmation Page and Receipt with Date Stamp. Send & Receive Fax Service. 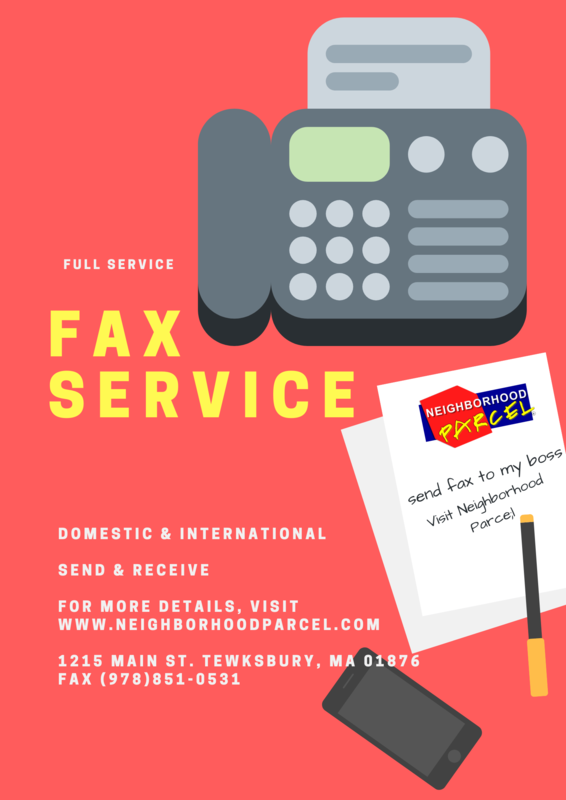 Domestic & International Fax service. Scan Fax to PDF for emailing. Pay For Confirmed Transmission Only. Convenient location to Lowell, Tewksbury, Dracut and Billerica MA. Hard to find a place near Lowell and Dracut MA line. Luckily, my friend recommended this service. It was a life saver as my fax needed to be received by 5:00 PM. The staff was super friendly and ensured my fax was delivered and confirmed. I hate going to Staples because they don’t help you with your fax, they want you to do it yourself and their machines are crazy complicated!